Search engine optimization remains a top priority for many blogs and brands, with the need for organic traffic derived from search engines being important above all else. While some entities have found ways to generate ample traffic without the use of search engines, most brands still understand the power of search and rely on it. The need for a balance between quality content and search engine optimization strategies is just as important as it’s ever been, but some brands allow the latter to overtake things. Below, we’ll review how some elements of SEO could actually be harming your content’s value. Search engines look at dozens of individual metrics when determining how to rank a site. Every website is pinging to Google many different indicators relating to content quality, authority and relevance. All too often, content creators double-down on the inclusion of links and keywords in order to make a good impression with Google. Excessive keyword and link usage is as old as SEO itself, but the effects are now less beneficial than ever. Ultimately, stuffing in too many keywords or inserting links that aren’t particularly relevant disrupts the flow of your content. While it might produce minimal benefit for your content (depending on the exact situation), it can dramatically turn off readers and lower their opinion of your brand. Many people fixate on the fact that there tends to be a correlation between PageRank and the amount of content on a website. It’s worth noting that correlation does not equal causation necessarily, but even if it does in this particular case, the rule isn’t an absolute. Some brands feel the pressure to constantly churn out content, publishing new pieces every day. This is all in the pursuit of improved SEO; content creators hope that more content will equal better rankings. Unfortunately, a total focus on content quotas often leads to inferior content, with the pressure forcing people to hastily put content together. This content ultimately may suffer from quality issues and will leave your audience desiring a better perspective. This relates to some degree back to what we discussed regarding keywords. All too often, brands focus on the extra SEO potential that exists in headlines and titles, using these spaces for keyword promotion rather than conversion potential. Every headline or title should invoke a reader to click, learn more and/or engage in an action. When you trade these conversion opportunities for keyword or SEO focus, you are automatically diminishing the number of people who will even bother clicking on your content. 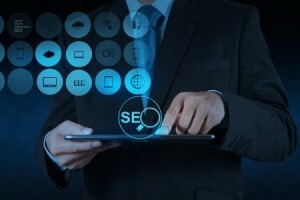 Rather than worrying about what you’re pinging to Google in terms of effective SEO, use these elements as an opportunity to provide relevant info and pique the interests of potential readers. Regardless of content quality, it only matters if people actually bother reading it in the first place. All too often, content creators become infatuated with SEO over quality content. While the two often go hand-in-hand, there are sometimes areas where they differ. In order to ensure your content quality doesn’t plummet, avoid forcing yourself to meet unrealistic content quotas, go easy on the unnatural usage of links and keywords, and optimize your headlines for human beings. What Should You Consider When Copywriting? What Is Your Content Marketing Plan for 2014?